See-through lace shorts for men are all the rage, we guess? The world decided they wanted more. The internet, as you know, let them have it. If you’re walking around wearing something like that, you can’t not expect yourself to be made fun of. Nevertheless, it seems like Man Rompers have been targeted. There are people out there trying to outdo them. And I think they succeeded. They were designed for a music video for Luke Caswell, an American rapper and songwriter. He’s better known by his stage name, Cazwell. 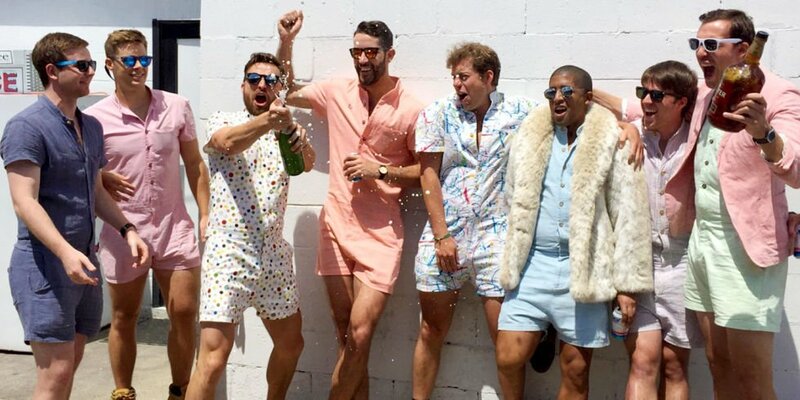 And they really did want to outdo RompHim. It’s not the fact that women usually wear lace that bothers me. It’s the fact that this is a stupid idea, and looks about as stupid as it sounds. But that’s just me. Would you buy it? Maybe as a gag for your friend, or maybe to spice up your bedroom life, what do you think?